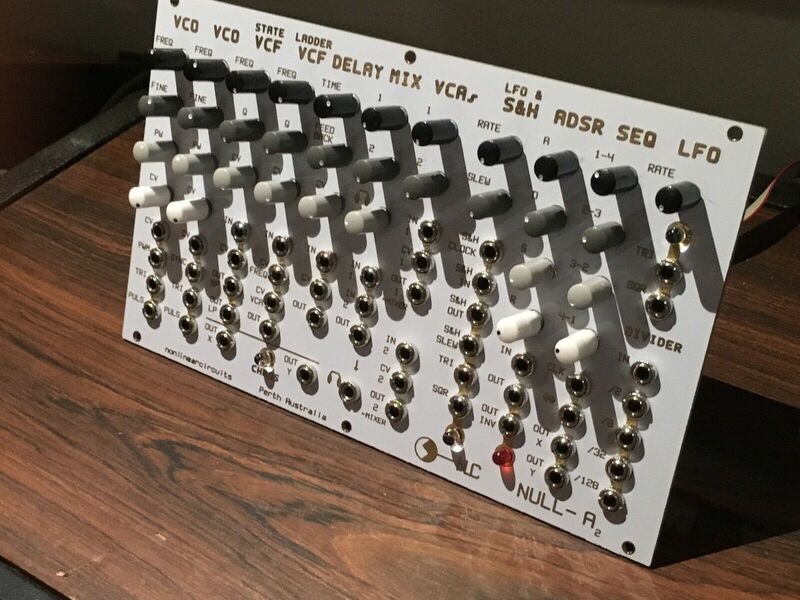 "Nonlinear Circuits Null A2 module, built by me, works great. 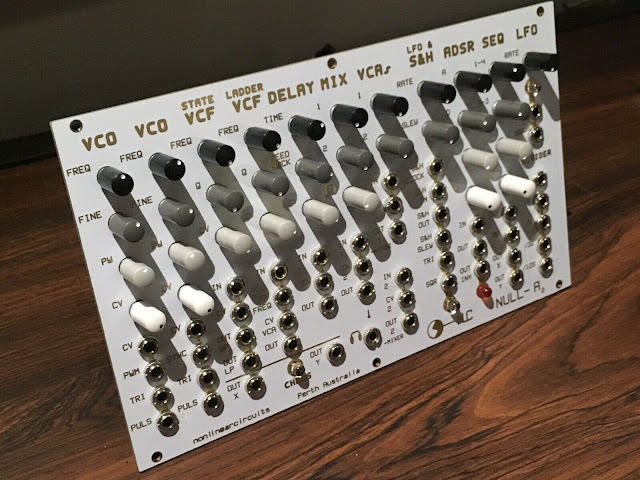 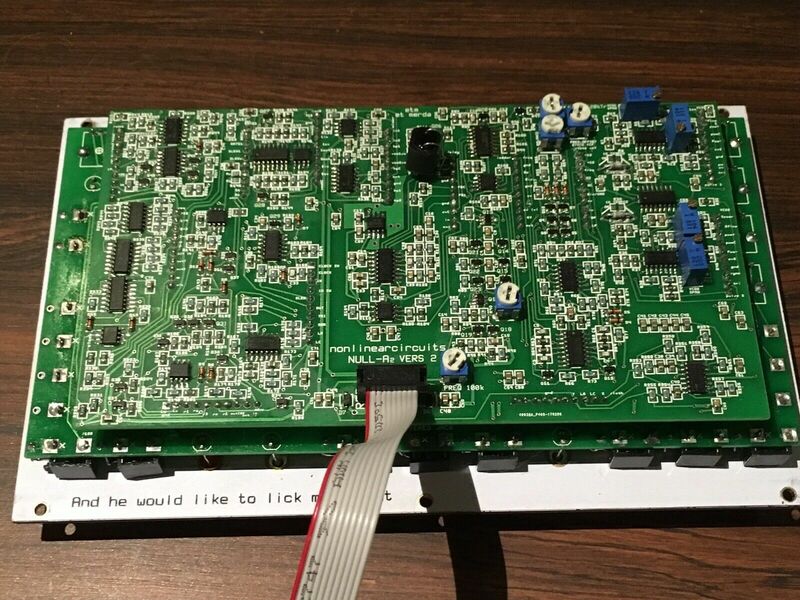 (I’m an experienced builder, built 70+ modules) It includes: 2 x oscillators (each track 3 octaves), 2 x filters, 2 x vcas, 1 x adsr, 2 x lfos, 1 x s&h, 1 x 4-step seq, 1 x clock div, 1 x sloth chaos, a delay, a mixer, and a headphone out- all in 42 hp. 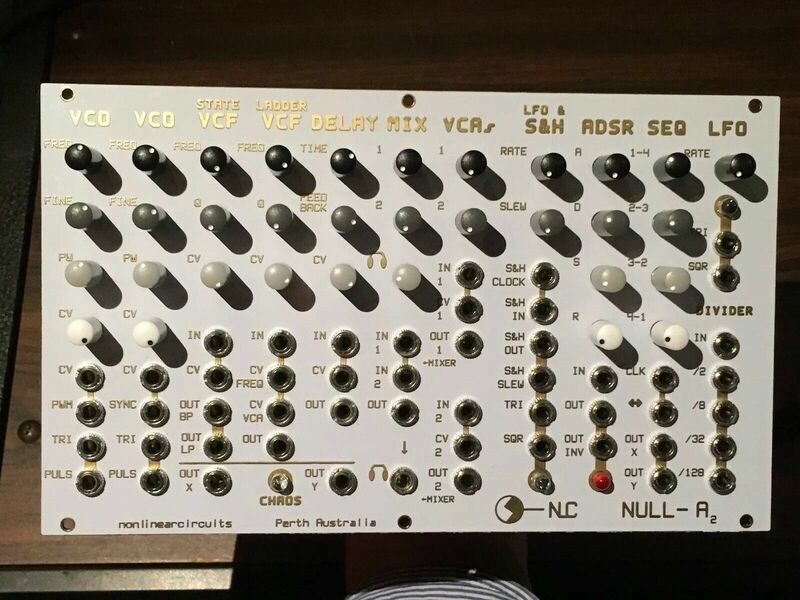 it's a blast, perfect for a portable system or someone who’s just starting out in Eurorack."